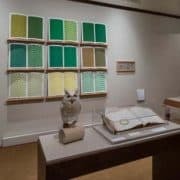 Common Touch: The Art of the Senses in the History of the Blind is a multimedia exhibition that looks at historical embossed and raised-letter documents for the visually impaired as a starting point for a multi-sensory exploration of the nature of perception. Inspired by her research in the Library Company’s Michael Zinman Collection of Printing for the Blind, artist-in-residence Teresa Jaynes’s exhibition on display April 4 – October 21, 2016 combines her own original works with historical collections that document the education of the blind in the 19th century. Curated by Teresa Jaynes, Rachel D’Agostino, and Erika Piola, 2016. The exhibition addresses the evolution of the graphic design of ephemera; ephemera associated with women’s role in the home, such as scrapbooks; the changing nature of leisure activities and consumerism over the course of the 19th century; and the life-cycle of commercial ephemera between the workplace, street, and home. An outgrowth of this project, Remnants of Everyday Life, curated by Visual Culture Program co-Directors Rachel D’Agostino and Erika Piola, was on view from May 13, through December 13, 2013. Curated by Rachel D’Agostino and Erika Piola. Artists find inspiration in daily life, actively seeking untapped resources close to home. 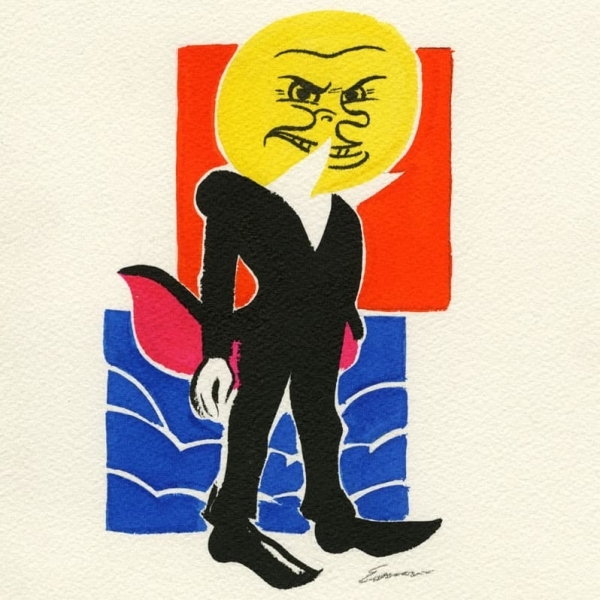 The Library Company became such a resource when nine members of the Philadelphia Cartoonist Society discovered the Library’s vast ephemera collection for this exhibition. Ephemera is a transient vehicle for creativity, often ignored or discarded quickly. There is a wealth of imagery; art which may not have been considered art when it was made. When collected, ephemeral materials represent a window into daily life through words and pictures, the chosen format for cartoonists, and an eclectic and colorful visual snapshot, often combining humor and nostalgia. 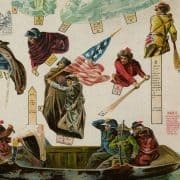 The artwork in this exhibition make references to trade cards, paper labels, toys, fashion, and 19th century satire using a variety of mediums and often combining elements of the Library Company’s vast ephemera collection. Curated by Concetta Barbera, 2013. Play and make-believe shape the way children grow and learn as they become members of society. For centuries, play has taught youngsters skills that have helped them form the way they see the world and their place in it. Toys are the catalyst to this knowledge, in the sense that they are a tool for acting on a child’s need and desire to be a grown-up. In this collection of ten sculptures developed from my research in the Library Company’s collections, online, and at antique stores as the Visual Cultural Program summer intern, Artist in Residence Jesse Lentz represents popular toys from the period between 1850 and 1950. 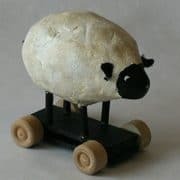 Each unique piece is based on one or a combination of different toys that existed during the decade represented, as well as the artist’s imagination. The individual sculptures, in materials and aesthetics, mirror the era of the toy that inspired them. Curated by Jesse Lentz, 2012. In collaboration with the Visual Culture Program, the Philadelphia International Airport unveiled “Life in Philadelphia: 1840s – 1930s” in an exhibition area between Terminals E and F. Curator Leah Douglas was drawn to the Library Company’s treasure trove of illustrations of daily life in the city as a way to introduce travelers to Philadelphia’s history and culture. 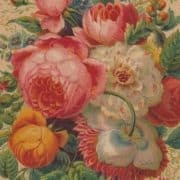 The exhibition was made up of skillful reproductions of more than 70 broadsides, trade cards, postcards, and photographs in the Library Company’s collections, most from the Print and Photograph Department. Images selected by the Library Company’s Visual Culture Program co-Directors Erika Piola and Rachel D’Agostino provided glimpses into politics, industry, and life in Philadelphia’s neighborhoods over an almost 100-year span. Curated by Leah Douglas, Rachel D’Agostino, and Erika Piola. 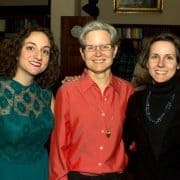 With funding from the The Pew Center for Arts & Heritage through the Heritage Philadelphia Program, the Library Company began a collaborative project with artist Jennifer Levonian. Over many months, Jennifer created a video animation inspired by the library’s collections. She chose to explore the topic of women who disguised themselves as men and fought as soldiers in the Civil War. Her video was a part of the library’s exhibition, John A. McAllister’s Civil War: The Philadelphia Home Front. John A. McAllister’s Civil War: The Philadelphia Home Front. Philadelphia can claim many “firsts.” The birth of American lithography is one first that is not well known. Following years of experimentation by others, Philadelphia artist Bass Otis produced the first American lithograph in 1819. A flat-surface printing process on porous limestone invented in Germany circa 1798, lithography was the first new printmaking method to be discovered in 300 years. It was the first cost-effective method for printing in color, allowed long print runs and larger sizes, and facilitated more versatile and innovative design styles than engraving. Intrepid American artists and printers explored lithography as a new commercial printing process during the 1820s. Lithographic establishments emerged in New York, Washington, D.C., and Boston, and finally in 1828 in Philadelphia. Nineteenth-century Philadelphia lithographers produced prints of all genres, in all sizes, for the domestic and business consumer, including parlor prints, sheet music, advertisements, book illustrations, billheads, and certificates that often contained images depicting the city. Philadelphia on Stone examines the history of the first fifty years of commercial lithography in Philadelphia. This exhibition explores the history and technology of the printmaking process, the professional and personal lives of premier and journeymen lithographers, and the impact of their work on 19th-century and contemporary visual culture. Curated by Erika Piola, 2010. 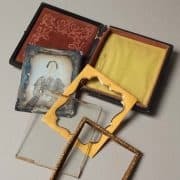 Introduced into America in the fall of 1839, shortly after its invention in France by Louis Daguerre, daguerreotyping quickly took hold in Philadelphia. The city had all the necessary components to successfully support daguerreotyping – a well-established scientific community that embraced the technological challenge, an artistic community that recognized the potential, and a population large enough to sustain a new profession. 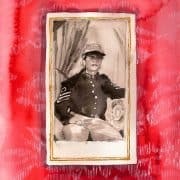 Until their gradual displacement by the more versatile paper photographs, daguerreotypes evolved in just twenty years from technological wonders produced by scientific experimenters to treasured personal objects produced in studios by operators who, at their best, combined technological expertise with artistic skill. Drawing on the Library Company’s strong collection of Philadelphia daguerreotypes (and significant examples on loan from other Philadelphia institutions), 19th-century books about daguerreotyping, studio advertisements, and other daguerreian ephemera, Catching a Shadow illuminates Philadelphia’s role as a vibrant center of daguerreotyping. Curated by Sarah Weatherwax, 2009.